Continuing on from Allure is Giving Away FREE Products Every Day in August, here are Allure’s prizes for August 31st and when to enter! All times are EST! Trade in your army green jacket from last fall for this easy indigo version. Log on for your chance to win one of three anoraks (retail value: $89.50). This inky plum shadow looks gorgeous in sunlight; add a dot of gold on the center of the eyelids for a flash of brightness. The first 250 Allure readers to sign up will get one free (retail value: $24). It has the same neutral effect as a pale pink but way more color. The first 100 Allure readers to sign up will get one free (retail value: $8). This iridescent powder leaves a subtle, peachy pink glow on lids and cheeks. Sweep it over the décolletage with a domed brush for a hint of sultry shimmer. The first 50 Allure readers to sign up will get one free (retail value: $19). Learn More: theBalm Hot Mama Shadow & Blush All-in-One 0.25 oz. 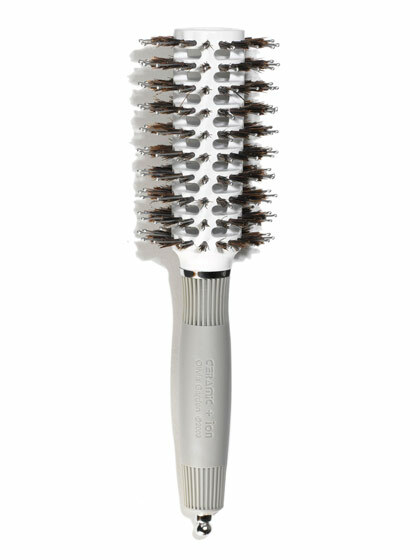 This brush’s round shape lifts hair at the roots to add volume, and the ceramic barrel won’t fry strands like a metal one could. The first 50 Allure readers to sign up will get one free (retail value: $24.99).